Life choice: screen this movie again, or be the victim of an actual poison gas attack? Hmmm, that’s a tough call. 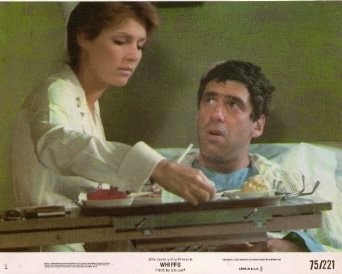 Like a fevered nightmare or a bad bag of White Castle, the 1975 Elliot Gould vehicle Whiffs was something I thought (hoped?) that I would never see again. I saw it first when I was twelve at the late, lamented Arlington Theater. I did not quite understand it then. Why were Gould and co-star Jennifer O’Neal spraying that stuff from an aerosol can into each other’s faces? What were Gould and O’Neal doing in that Med-Evac truck at the end of the movie? I did not know these answers; I was a good Catholic boy. Now that I’m a big grown-up, I thought it was time to figure it out. 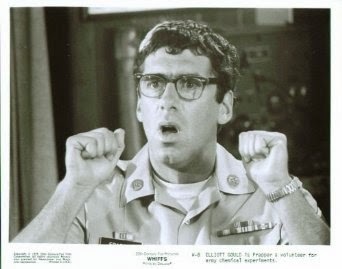 THE PLOT IN BRIEF: Private Dudley Frapper (Elliot Gould) is the Army Chemical Weapons Corp’s best guinea pig. 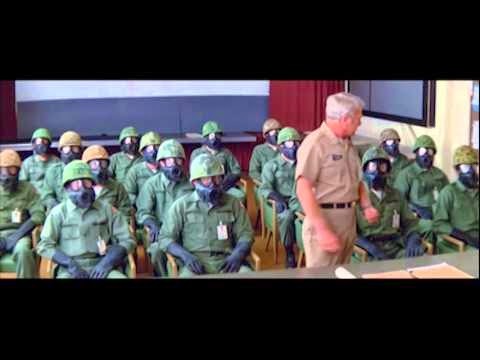 For fifteen years, he has tested the effects of the army’s latest gasses, and is a total physical wreck because of this. Frapper is sent to the base hospital after each test and has there fallen in love with comely nurse “Scottie” Hallam (Jennifer O’Neal). The Army decides that Frapper is too unstable to be a reliable test subject anymore and forces him to retire on disability. Finding that his monthly disability check will not pay his bills, Frapper hooks up with old friend/fellow chemical test subject Chops Mulligan (Harry Guardino) and crop-dusting pilot Dusty (Godfrey Cambridge) to stage a daring robbery. Frapper’s former CO, Colonel Lockyer (Eddie Albert) gets wind of the plot and tries to foil him. Nervous laughter about the effects of poison gas ensues. 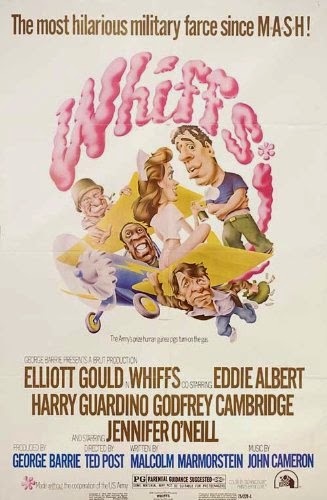 A maiden effort from Brut Productions (a movie studio financed with the astounding profits from, believe it or not, Brut cologne—one of the 1970s’ most popular poisonous gasses), Whiffs is certainly one of the most amateurish films I have ever seen. This is surprising, as director Ted Post was a journeyman but efficient director, who also helmed Beneath the Planet of the Apes (1970), Magnum Force (1973), Go Tell The Spartans (1978), and thousands of episodes of series television. Here his work looks like it was done on the cheap… and fast. Perhaps Post had no talent for comedy; Whiffs is the only comedy on his long resume. The film’s many attempts at physical comedy are poorly staged, poorly framed, and come off as awkward and tedious instead of fun and hilarious. The film also makes a half-assed attempt at being a romance—an unfathomable romance that makes no sense. In 1975, Jennifer O’Neal was one of the most beautiful women on the planet. What does her character see in the tall, awkward, wheezing, stumbling, stuttering, repulsive, impotent Frapper? Her character is a nurse—is it some latent nurse’s instinct? No, that angle is never explored. There is so little chemistry between the two that they come across as a naughty brother and sister. The only reason that the O’Neal character could possibly fall in love with the Gould character is because THE SCRIPT IS TELLING HER TO. 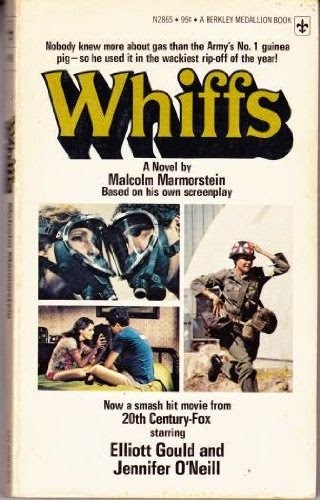 ANNOYING AUTOBIOGRAPHICAL PAUSE: In sixth grade I actually purchased the paperback novelization of Whiffs from the Scholastic Book Club at my Catholic grammar school. Does anyone remember the Scholastic Book Club? The nuns (or teachers, for you heretics) would distribute the order forms in class, I would beg my parents for money and turn in the form, and the books would arrive… about 17 weeks later. Woe betide the sad students who had not turned in an order form on the day the books arrived. The bookless kids would just sit there in class and cry. I think the school got a cut of the proceeds, so it was a profit-making deal; but the real benefit to the kids was learning that it feels crappy when everyone has books but you. Looking back, considering Whiffs’s obsession with its hero overcoming his own impotence, I am surprised that they sold this book to a 12 year-old. Did I even know what impotence was? 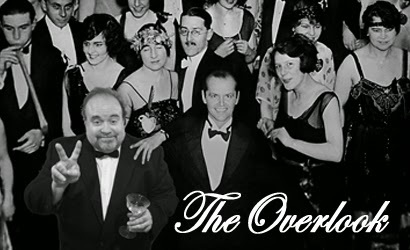 AND NOW BACK TO OUR STORY: Babies, sometimes here at The Overlook we find hidden gems for you to seek out. Other times, we discuss the very valid reasons certain movies have been overlooked. But in weeks like this, my joy is finding something for you so weirdly awful you’ll be surprised it even EXISTS. I can’t recommend it, but I wouldn’t be surprised if one of you comments that now you kind of want to see it—to poke the goo with a stick, so to speak. Whiffs is available from our friends at Warner Archive as a MOD DVD. I would gladly trade you my copy for a bag of White Castle. Are you sure about this review, JB? The cover of that book assures me the movie is a SMASH HIT. And did you misspell Ms. O'Neal/Neill's name or did the book? Clearly a few holes in your story - I have to side with the book. Speaking of books - I loved the Scholastic Book Club! My folks were on the poorer side of middle class and I didn't get all the new toys, but I was always allowed to order from the SBC. Fun review JB - I'm having enough trouble finding time to watch the movies I want to watch these days - life's too short for stinkers like these! You caught me, Sol. Clearly, my spelling skills suffer when I am overcome by the heady stench of this film. Are you saying people should watch this with a gasmask on? Because that would be a pretty good gag if you were, like, a movie reviewer on TV and you were, like, "This movie was so bad I watched it with THIS on and it still stank!" And if it was really bad you could put another gasmask on over the first one.